Kids can jump out of joy! The Orbit Easy Stow Junior Jumper is a small junior trampoline for the kids to jump on both indoor and outdoor. 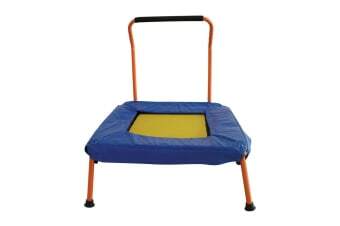 The Orbit Easy Stow Junior Jumper features a heavy duty jumping mat with a safety handle for stability. Also, the jumper folds down for easy storage.